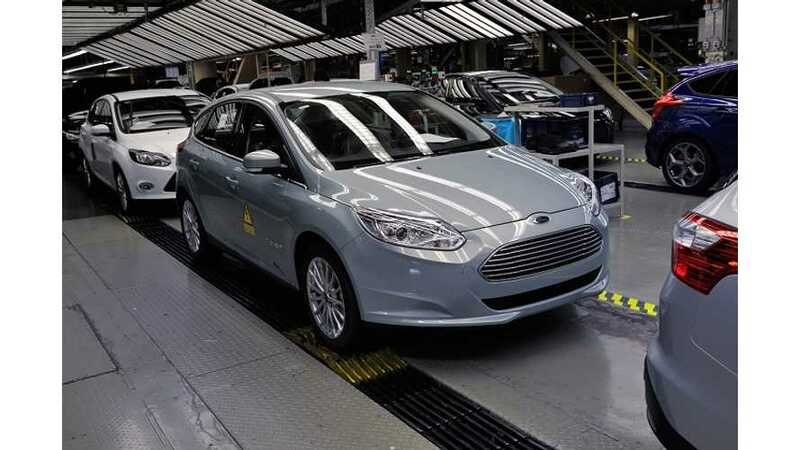 Despite new "local European production" on the Focus Electric that began June 12th (that story here), Ford does not expect to sell many Focus EVs in the UK in 2014, despite a launch later this year. But one thing it is not is a unwillingness of the locals to buy plug-in vehicles - as of July 2013, 1,855 EVs have been sold this year, that's up over 70% from this point in 2012. All told, Ford says it is expecting to only sell "around 25" units according to Oliver Rowe, Ford's Product Affairs Manager. 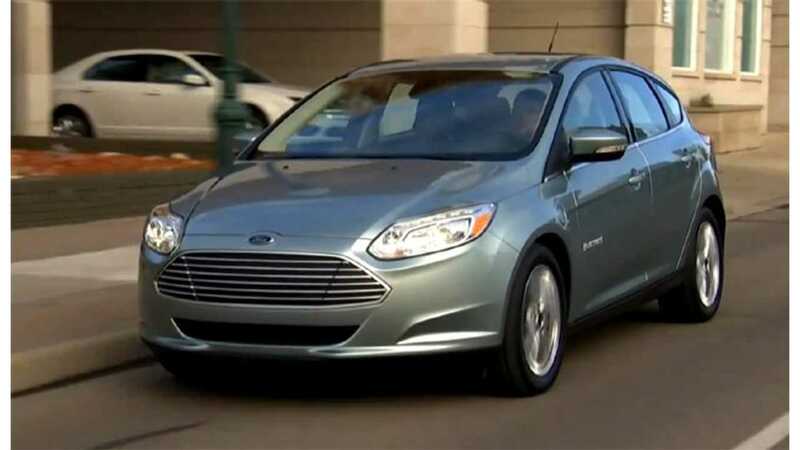 Ford has stressed that they will not be losing money on the Focus Electric in Europe, and that shows in the pricing. For the UK, the car is expected to have a price tag of around £30,000 ($46,800USD) before UK incentives of £5,000 ($7,800 USD) when the first cars are delivered this fall. The Focus EV has already been priced in Germany (where it is made) at €39,990 ($53,000 USD). 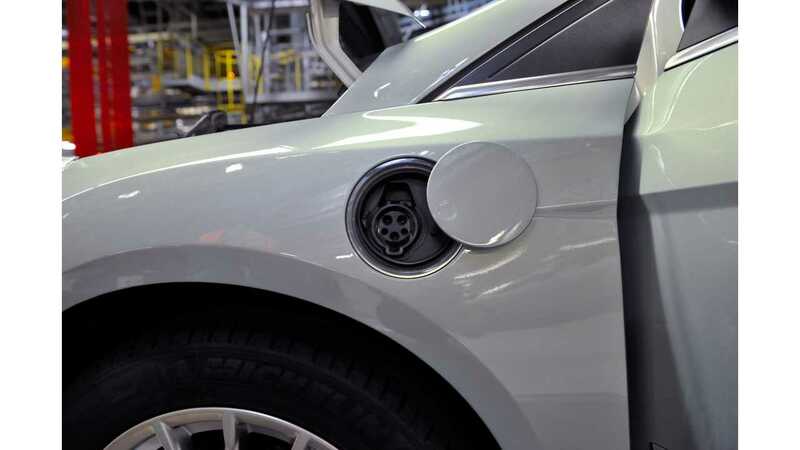 Hrm, The Plug On The Euro-Spec Ford Focus Electric Looks Mighty Familiar - Perhaps A Cost Saving Measure? For right now however, Ford is pointing the finger at the dealership model for the lack of expected sales in 2014 not pricing, saying that a nationwide roll-out of the Focus Electric would mean the equipping of 520 Ford dealerships with specialized equipment and knowledge to sell and service the vehicles - something Ford is unprepared to do yet. So if you want a Focus Electric in the UK, it is going to have to be acquired via their fleet program. "The electric vehicle market is still very immature (but) you have to be in the market and even though demand is very low, we have to be ready for when that changes. We think there'll be demand eventually. The economy has to come back and in the immediate, people will have to get more confident about owning an EV as their main vehicle. I think people will buy an EV and something else, this is to do with the single and multi-mission vehicle." Mr. Holmes added that Focus EVs would be only sold as they were demanded in the UK for now.